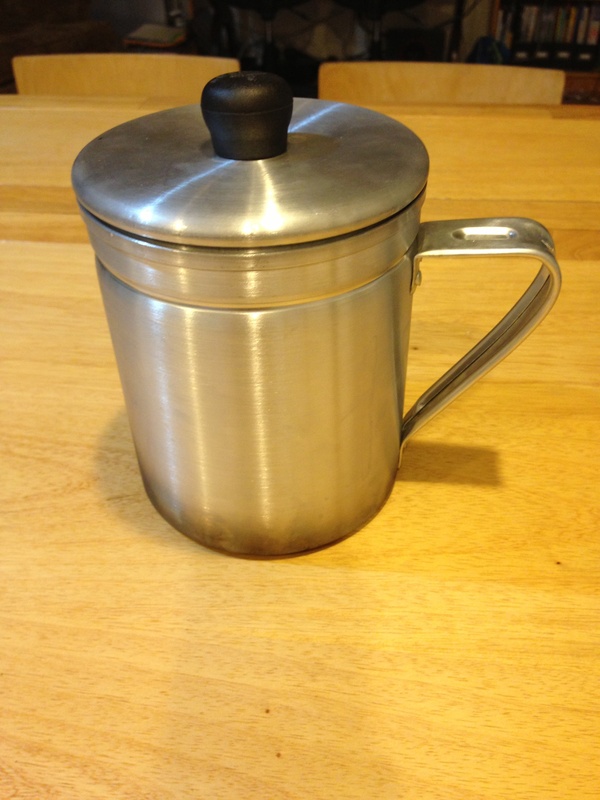 I will use this with my teenie tiny lightweight alcohol stove. 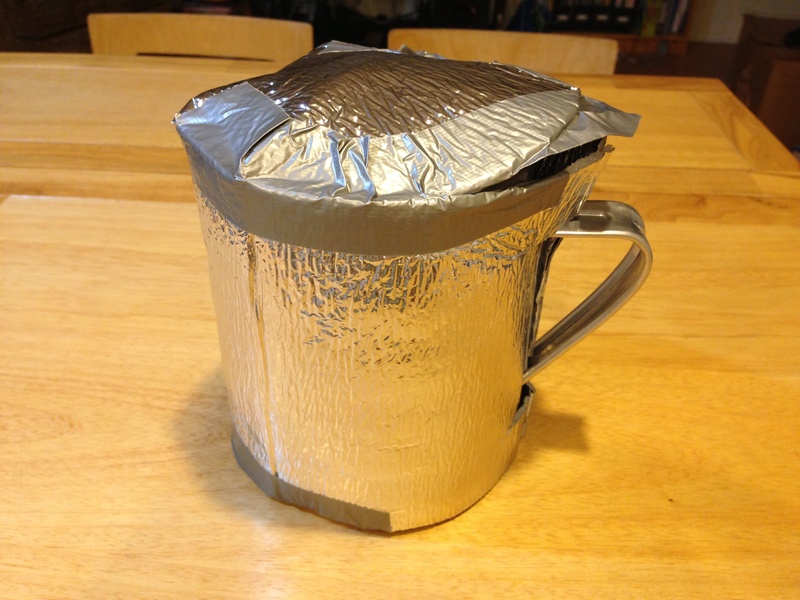 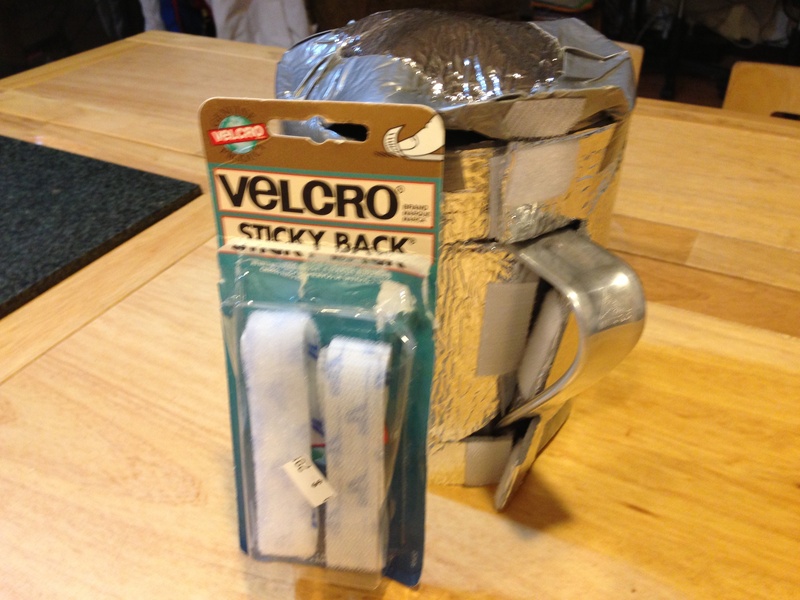 To save fuel I will enhance the cooking time of one boil by insulating this pot with a heat reflective cozy. 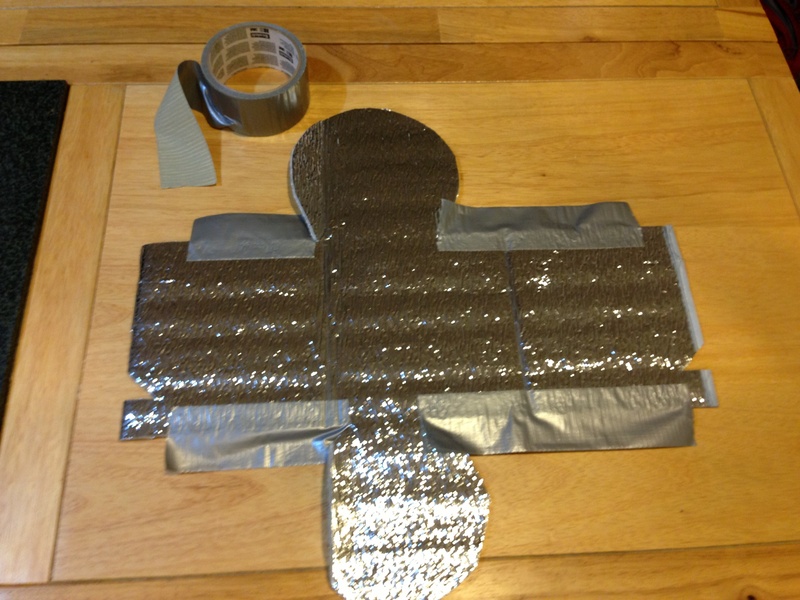 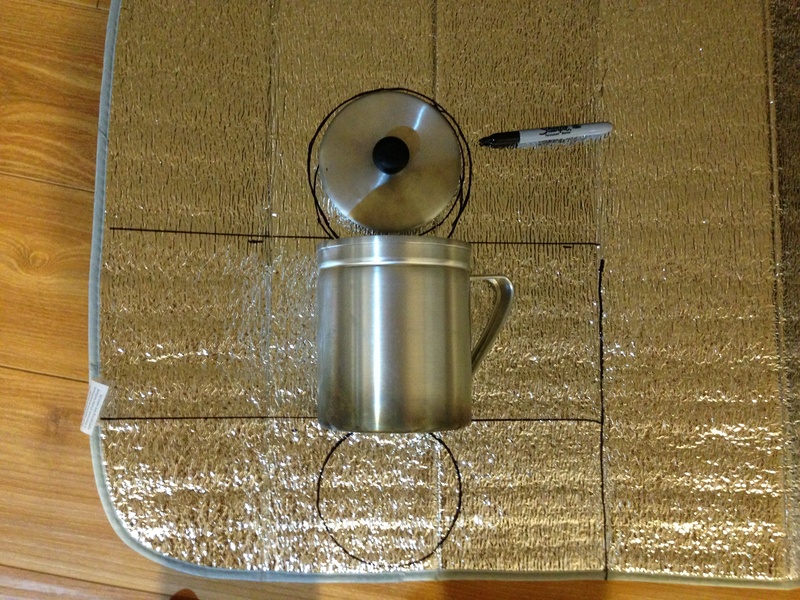 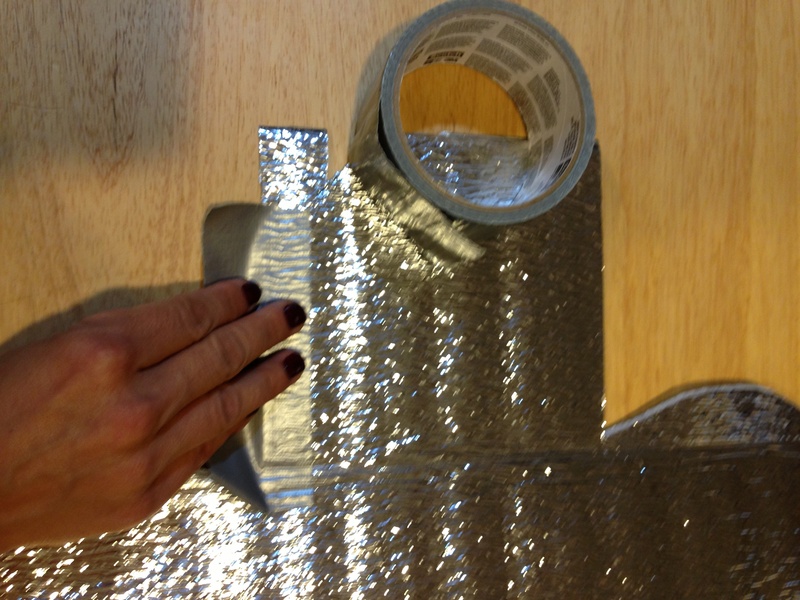 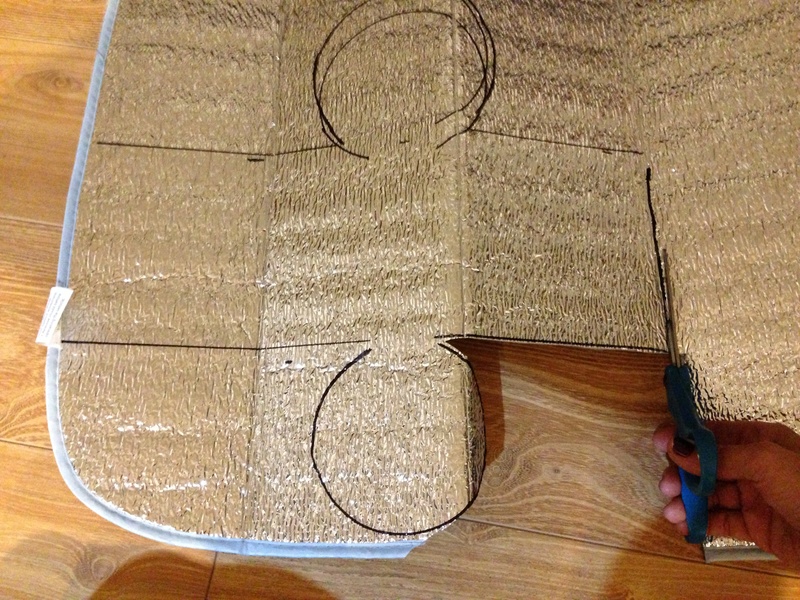 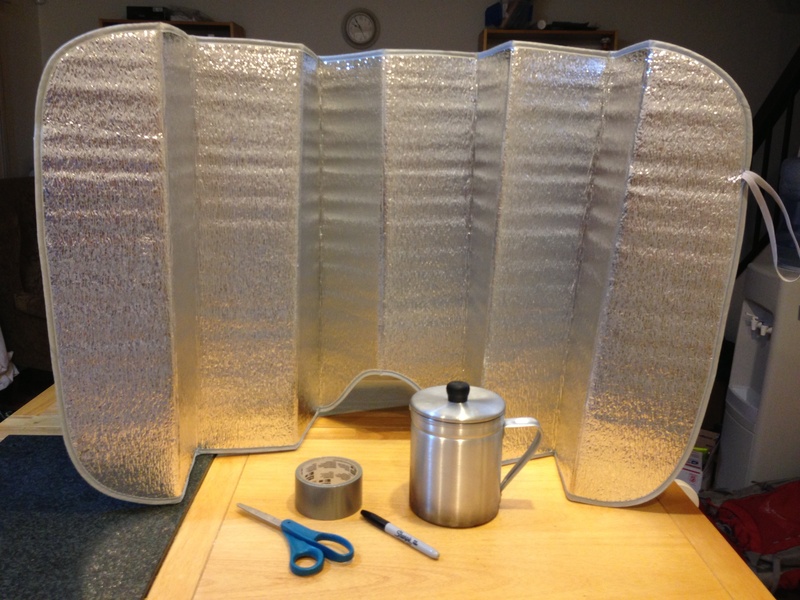 Here’s how I made the cozy from a $6 solar shield for the car windshield. 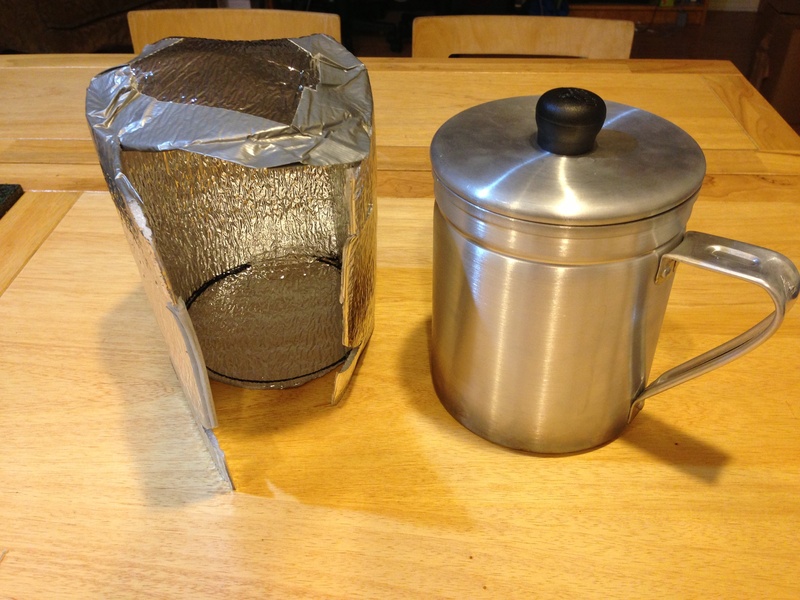 I had lots of material leftover so I made a cozy for a smaller pot I have as well and still have tons of material left. 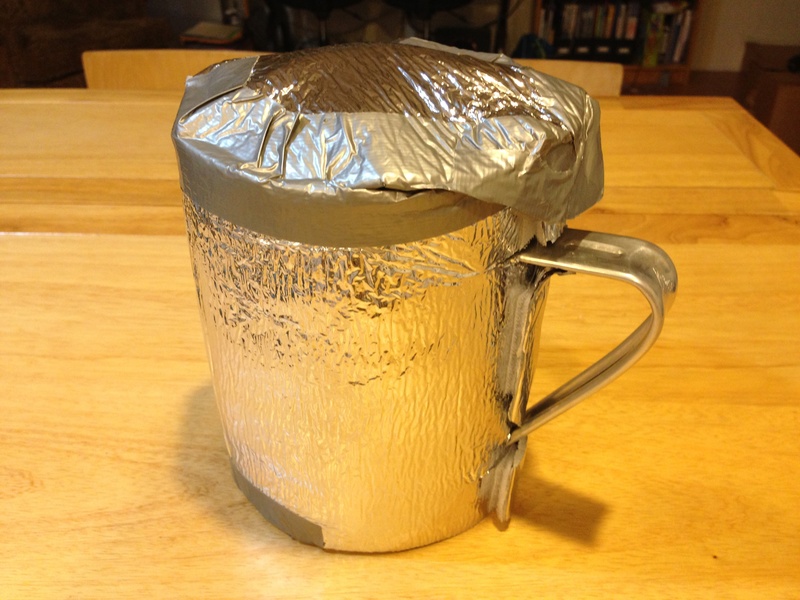 I’d like to add that making the cozy was as much fun as receiving the cookpot.